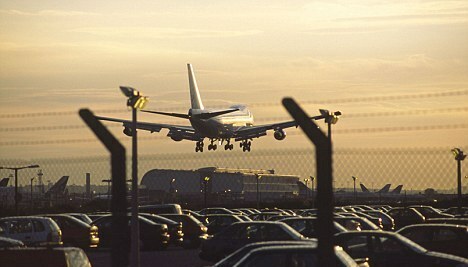 Have you ever faced any discomfort while finding a place for parking at Luton airport? Did this ever happen to be the reason of disturbing your schedule? If yes, I wonder how your whole mood, just at the start of your trip, would have been spoiled! But, here is a simple solution to all your parking issues; and that is to avail the services of meet and greet parking at Luton airport. Yes, it is the Luton meet and greet parking that works for bringing ease to your life by arranging certain parking place before your arrival at airport on the day of your flight. But, how does it work? It is very easy and simple, you just need to make an online reservation at meet and greet Luton parking. Now think how pleasing it will be when you arrive at airport and there will be a chauffeur waiting for you to take care of your vehicle; freeing you from the burden of parking worries, such as, finding parking space in nick of time while continuously checking the watch in the fear of missing the flight! And what is even more luxurious is that your vehicle will be ready for you just in the state as you left before heading for your trip. Check for any damage to vehicle on your arrival, and report immediately, otherwise the firm will not be responsible after when you have collected it from the chauffeur and left. So, what are you waiting for? Go on and reserve your parking place and experience the luxury of meet and greet Luton parking. Previous PostReasons to Use Luton Airport Valet ParkingNext PostHow to Make Parking a Pleasant Experience?